Here is an uncommon 38mm. 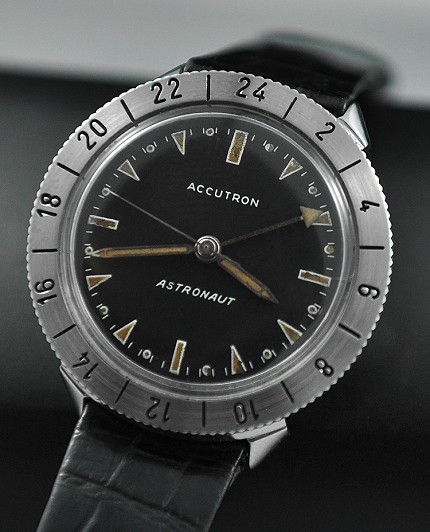 BULOVA ACCUTRON all original “ASTRONAUT” with an original dial, scratchless case and “just cleaned” 214 tuning fork electric Accutron movement. This 1960’s watch includes an original Bulova leather band and steel buckle. This Bulova looks fabulous and keeps accurate time. $1295.